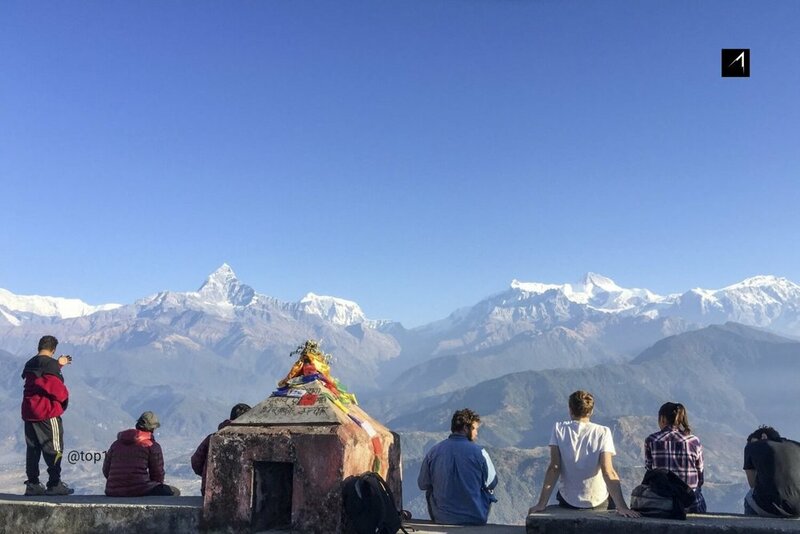 Join Top1Trekking Nepal Himalayas Highlights journey to the birthplace of Buddha, small country in the heart of the Himalayas with breathtaking mountain scenery and the home to cultures and religions that contributed to the formation of the philosophical outlook of the civilized world for thousands of years. Following Tibetan exiles on their pilgrimages around the Boudhanath Stupa, Waking up in the early morning with the magnificent view of Himalayan snow mountains from the balcony of the hotel in Pokhara, boating over the Phewa lake and watching the snow mountains reflect on the lake on a calm day, experiencing the wilderness like the ancient Maharajas sitting on the elephant's back to detect rhinos and deer in Chitwan National Park, Discover Birthplace of the Buddha in Lumbini. It is just one of the experiences that await you on your trip to Nepal. From one-horn rhinoceros and Bengal tigers in Chitwan National Park to the ancient temples of Kathmandu Valley and the breathtaking scenery of the Himalayas. Visitors wishing to participate in the festival may choose to fly to Nepal during the Dashain festival that takes place around September across the country. Bisket Jatra Festival in Bhaktapur, capital of Kathmandu in the new year around mid-April. Indra Jatra Festival around August / September that take place every year. Contact us for full details of the annual festival day. ➡ Search for leopards, elephants, and rhinos in Chitwan National Park. On elephant back to spot rhinos and deer in Chitwan National Park. Local English speaking guide who have many years experience with good knowledge can answer your questions during the trip. Basic first aid knowledge first aid kit provided. + When is the best time to do Nepal Himalaya Highlights? Nepal Himalaya Highlights is comfortable journey which can be done whole year, the best is Spring time (Mar-May), Autumn (Sep-Dec) sky are generally clear with outstanding views and In winter time (Dec-Feb) is cold but the view is excellent. + How much physically fit should you be for Nepal Himalaya Highlights? You should be in good health, daily activities may include city walking tours, visits to sites, or easy hikes, with options for more physical activities such as hiking, paragliding. Those who love adventure sports can spend more time, or instead of sailing on the Phewa Lake, can change to paragliding on top of Sarangkot to admire the mountains and the Phewa Lake, one of the the most beautiful paragliding place in the world. There are plenty activities to do in Pokhara such as rafting, mountain biking along the lake or to villages out of the city.